Crystal River Florida and King's Bay are world famous as the "Manatee Capitol of the World". People flock here from all over the world to experience this one of a kind experience. 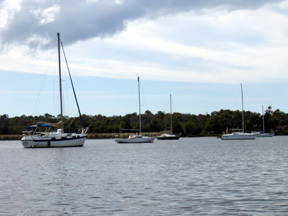 There are many local tour guides, boat rentals, and snorkel or dive shops located right on King's Bay in Crystal River. The mild, 72 degree waters are maintained by a constant flow of millions of gallons of water per day from the deep natural springs. The manatees migrate into these warm waters during the cooler winter months making it a natural haven where you can swim with the manatee. If this type of activity sounds appealing to you then this seaside lifestyle could be yours year round. 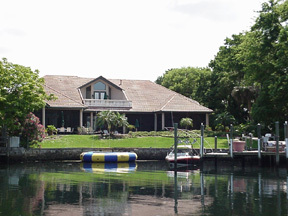 Waterfront property and waterfront homes are available in Crystal River at still reasonable prices compared to other Florida waterfront areas. Imagine kayaking to your neighbor’s house. Crystal River offers docking as well as dry dock storage for boaters, world class tarpon fishing just off the coast in the Gulf of Mexico and some of the best fresh water bass, brim and catfish in Florida. You can also fish here for grouper, cobia, red fish and sea trout. There is even Fort Island Gulf Beach just 9 miles west of Crystal River for those who just wish to relax. Nearby waterfront communities like King's Bay Drive, Fort Island Trail and Ozello Trail offer secluded waterfront living at its best. A drive through some of these areas is like going back in time to what "Old Florida" must have looked like hundreds of years ago. The pristine, untouched wetlands abound with native wildlife including gray heron, blue heron and egrets. 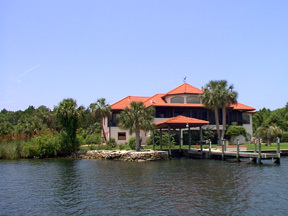 In fact, much of the county is protected by state and local parks, preserves and refuges like the Homosassa State Wildlife Park, Chassahowitzka National Wildlife Refuge, Crystal River Wildlife Refuge, Citrus County's 18 Birding trails, Withlacoochee State Forest, and Crystal River Archaeological State Park. You cannot mention Crystal River without noting the palatial 232-acre Plantation Inn and Golf Resort with its meticulously manicured greens. There are in fact over a dozen world caliber gold courses in Citrus County including the prestigious Black Diamond Ranch, El Diablo, Seven Rivers Golf and Country Club and nearby World Woods practice facility. 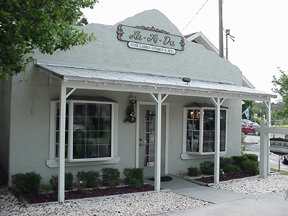 Crystal River also has excellent dining and cannot be beat for great fresh seafood. Several restaurants, pubs and tiki bars on the water are boater friendly and you can dock right at the fine establishments. With seven rivers meandering through the region it won't be hard to find just the right waterfront home for you. Be it bay front, riverfront or lakefront Citrus County has it all. And there are still many undeveloped waterfront lots in the county for new residents as well as prospective investors. Lucy Barnes and her team are considered leaders in Crystal River waterfront real estate transactions with a combined experience of over 30 years. Let Lucy find your next waterfront property.